Call: 970-683-0588 Offices in Grand Junction, Delta, and Paonia. Roger Baril, CMT – Certified Massage Therapist, Myofascial Release, Neuromuscular and Somatic Physical Therapy in Paonia, Delta & Grand Junction. Roger has worked with hundreds of patients and has over 50,000 hours of practice since 1989. State Licensed by the state of Colorado to practice Massage Therapy. Is a member of the American Association of Massage and Bodywork Professionals. Roger Baril – CMT, works with a client to relieve chronic pain with somatic massage and bio-kinetic movement therapy. Here are some of the significant healing benefits for clients. Lasting results have been achieved, often when previous treatment or rehabilitation has been unsuccessful. post surgery, sports injury, stroke and neurological disorders, rotator cuff and shoulder girdle rehabilitation, auto accident rehabilitation and other injuries. Myofacial pain syndrome injuries. Somatic massage and movement therapy can be applied as an alternative or adjunct to physical therapy. fibromyalgia, arthritis, TMJ Dysfunction, sciatica and perifomis syndrome. Chronic fatigue. Muscle spasm/strain. senior citizens- increased movement, strength and health. Stress relief. postural distortions, scoliosis and somatic dysfunction. Foot problems. Sports massage and therapy has excellent benefits for the training and maintenance of high-powered athletes – runners, bikers, skiers, climbers, etc. Muscle and joint pain can be decreased or eliminated. Somatic sports therapy also improves training results, efficiency, increases muscle flexibility and Kinisthetic integrated movement awareness. In cases of athletic injury, therapy greatly enhances the healing and rehabilitation process. Somatic massage and movement therapy can be an excellent alternative to physical therapy or as a beneficial addition to it. Roger Baril is a registered provider for Colorado Workman Compensation with Pinnacle. He is also able to provide benefits for most private insurance and Auto Insurance coverage for treatments provided. In 1994 Roger co-created/co-founded and trademarked Biokinetics (TM) with Carol Welch N.M.T. Biokinetcs is a somatic (body-mind) learning process releasing chronic muscular tension. Roger has co-instructed over 70 seminar trainings across the U.S. and Canada in Biokinetics Education to a broad spectrum of healing art practitioners, and over 300 students. “Soma: The body perceived from within.” -Thomas Hanna PHD, Founder of the Somatic Society and the American Feldenkrais Guild. Clients share their experience of movement and massage therapy with Roger. As a person who has worked at a computer for 15 years, my posture and overall health has suffered. Trying to self heal with yoga and exercise only got me so far. After working with Roger, a bout of chronic headaches disappeared after just a few sessions and my mobility and range of motion has increased. Roger has taught me several effective exercises and movements I can use to continue the work between sessions and into the future. Through my work with Roger, I am now much more aware of my body, my posture is improving and I feel like I am well down the road to undoing the damage and bad habits I have developed over the years. Thanks Roger! “Roger Baril has consistently helped me maintain my most challenging training as a competitive runner and active man into my 50’s. Working with Roger has helped me both recover from injury and avoid injury.” – Dan Peterson, (Ran a half mile in two minutes and one second at age 50; Third in world at that age). “I have been to a number of well known bodyworkers. Working with Roger has been like none other. He is by far the most skilled educator I have ever experienced. He has helped me find a resolve to a number of ongoing chronic problems. We are fortunate to have him in our valley.” – Evelyn Bittel, Paonia African Dance and School Teacher. “My neck was so frozen, so painful, and I was so desperate that I was willing to go to someone I didn’t know. I went to Roger for one treatment and the very next day I was better. That’s powerful healing! Thanks.” – John English –Construction worker, Paonia. “I have often received treatments from Roger and observed him working with others. He is very present and compassionate with his clients and his work is very effective. My serious sciatic pain was completely resolved within three treatments with Roger. I often recommend him to my own clients who need deep, focused work.” – Ildi Bartlett – Artist, Singer and Massage Therapist. Students of Roger Baril share their experience of Biokinetics, Integrative Therapies & Somatic Education. “The hands-on work helped me release areas of myself that could not be reached any other way. 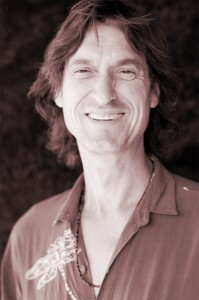 Roger is a masterful bodyworker/educator and a gentle, strong human being.” – H. Leonard, Hellerwork Practitioner. “An experience that leaves me forever changed with an awareness of the subtle infinite possibilities for change.” – Kristy Vant, Yoga Alignment/Movement Instructor. “The only adequate word to describe my experience of Biokinetics is revolutionary – both in my own body and that of my clients.” – Paul Tepley, Hellerwork Practitioner. “Biokinetics accesses the healer within and will always be the highest form of medicine.” Scott Athair, St. John Neuromuscular Therapy Instructor. “I now use Biokinetics every day in my practice. It is extremely effective and very satisfying. It is almost like starting over. I now look at my patients somatically.” –Michael Wheelan, Chiropractor. “Biokinetics/Hanna Somatics is an approach that I use with anyone with musculoskeletal dysfunction. This work is essential knowledge to any physical therapist. It not only brings relief of pain, but true and lasting recovery.” – Dennis Kozak, LPT, Physical Therapist. “I’m excited by the positive effect Biokinetics has on how I relate to my own body.” – B. Scott, D.O. Osteopath. “I firmly believe that anyone in bodywork should gain an understanding of this work.” – C. Johnson, N.M.T. Appointments are available in Paonia, Delta and Grand Junction. I have a new office in Delta, Colorado. Please contact me for more information.